The 2018 edition of Chambers USA recognizes Carver Darden attorneys and practices for their efforts in the state of Louisiana. 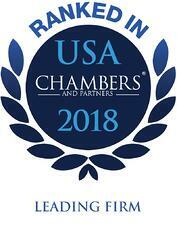 Chambers USA: America’s Leading Lawyers for Business is a highly respected directory for America’s top lawyers and law firms for businesses. For more information on the Carver Darden rankings or profile in Chambers, please see here.